first responders, members of emergency response teams and the general public. 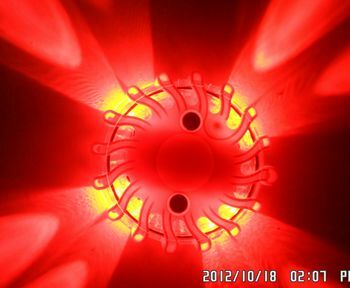 LED road flare light casing is constructed of super high strength plastic: PC, TPE and TPR. LED road flares have 16PCS super bright LED bulbs, working life is more than 100,000 hours; Using high-capacity battery CR123 as power, built-in IC chip control LED flash. 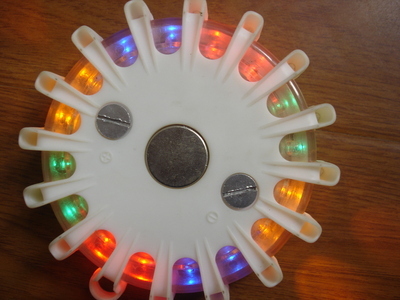 Rotate, double blink, single blink, alternative, SOS (Morse code) for rescue, solid-on (high), solid-on (low), 2LED flashlight and 4LED flashlight. compact & visible up to a 1/2 mile away. Store temperature from-40C to + 60C.